Filed to: Please?Filed to: Please? I dare you to click the magnifying glass icon in the top left corner. I dare you. I DOUBLE DARE YOU!!! 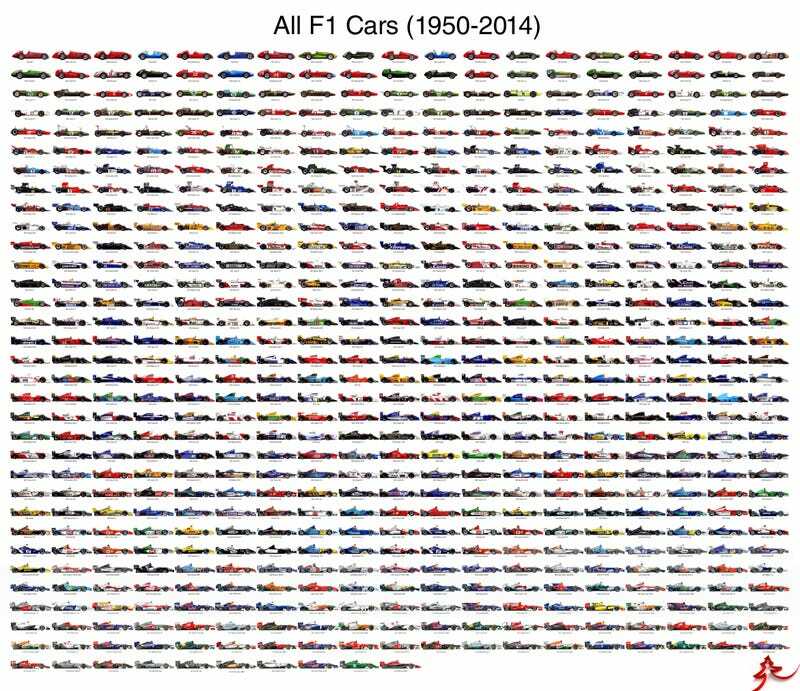 I would like to see a merge of the silhouettes of the F1 cars seen above, by decade, then trace the resulting outline, and post back in the comments as a single F1 car. Please? That’d be 7 cars total.